The Adobe platform is so flexible that sometimes what was thought to be the most efficient way to build a table is not always the best for the end user. 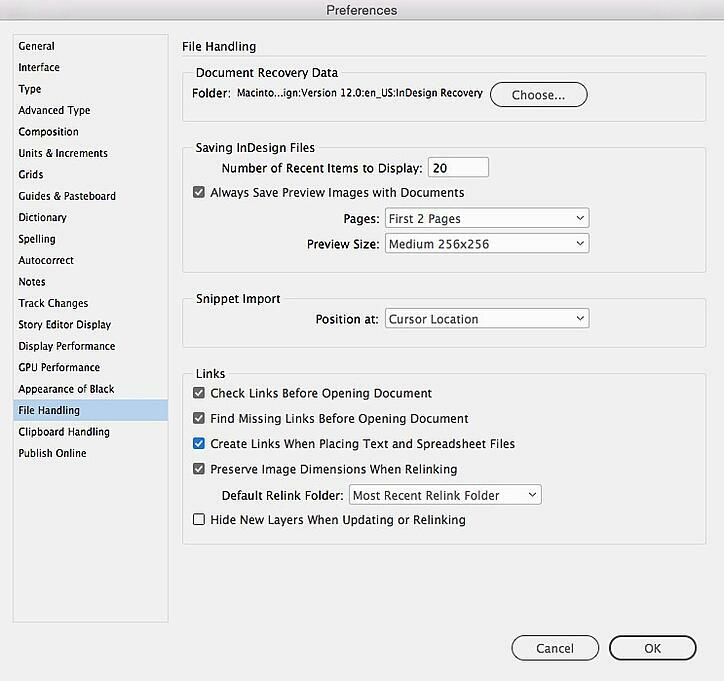 Ultimately, do you want to use Excel formatting or do you want to do the table formatting in InDesign? Does the client-side team have a strong knowledge base of formatting tables in Excel if that is your preferred route? Is the Excel document edited by the client often and the results published on a timely basis? Or, is this a single layout where the information is static and rarely changes? If the case is the former, then link an Excel formatted table to the InDesign document with the original formatting from Excel checked. Then when the Excel document is updated, InDesign will detect this when the file is opened—it will show a yellow triangle that the Excel link needs to be updated. Once updated it will hold the Excel formatting and is more quickly ready for print. Please note that if the formatting of this type of table is tweaked in InDesign, that formatting will be lost once the linked Excel document is updated; hence, making it inefficient and inconvenient to have to re-apply formatting styles every time an updated Excel document is submitted by the client. 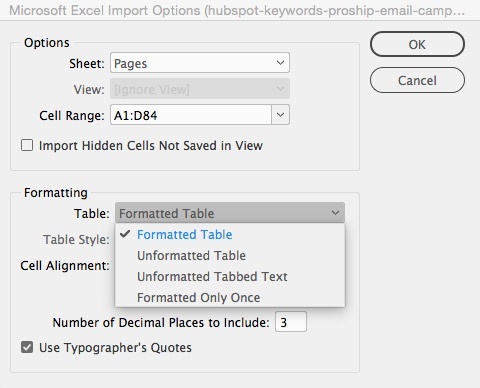 If the Excel document is linked without holding the Excel formatting and the table is formatted using Table and Cell Styles in InDesign, the InDesign table styles will hold the styles once the table is updated. 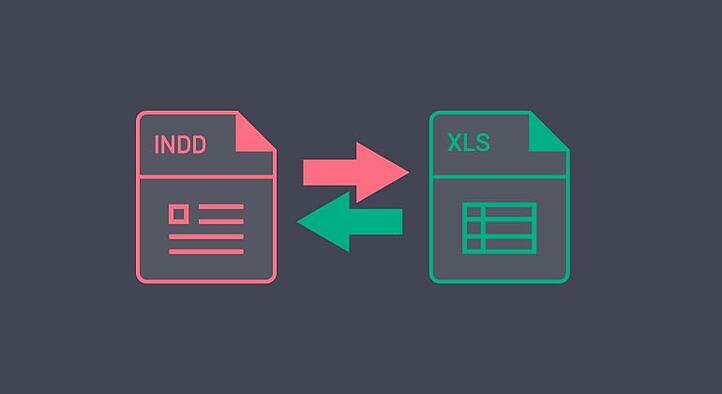 Most commonly, an Excel file is submitted and formatted in InDesign using table and cell styles on the agency end. If the client does have changes, a PDF is submitted to the client that they markup using the comments tool in Adobe Acrobat and re-submitted to the agency. This usually works best for information that does not change very often. For more information about marking up PDFs using the proper tools, see this blog post.